Feedly, Reviewed: What Makes It Such A Popular Google Reader Replacement? 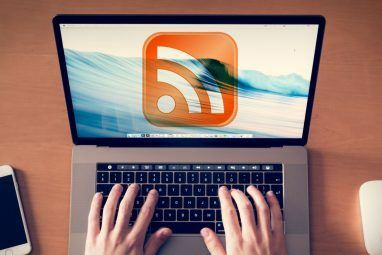 Now that Google Reader is but a distant memory, the fight for the future of RSS is truly on. One of the most notable products fighting the good fight is Feedly, a powerful RSS reader about which David Pogue of the New York Times quipped, “Feedly is what you needly.” We’ve reviewed Feedly’s Firefox add-on, and even its iOS app Feedly Mobile - Keep Up With News & Google Reader Feeds On The Go With This Stylish App [iOS & Android] Feedly Mobile - Keep Up With News & Google Reader Feeds On The Go With This Stylish App [iOS & Android] When I first went looking for a suitable news and RSS reader for my iPhone, I had two prerequisites – no price tag (the feeds are free, after all) and Google Reader integration. Feedly with... Read More way back in 2011. 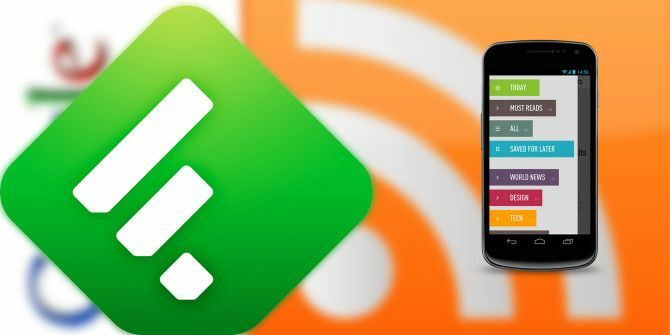 Google Reader wasn’t an app or an add-on: It lived purely on the Web, so today I’ll be looking at Feedly Cloud, a browser-based RSS reader that requires no external tools to use. We first reported about it as it went live on June 19, but now’s the time to take a good, long look at it. 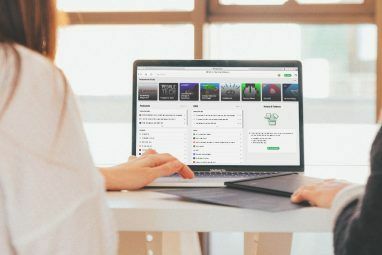 All in one place: Feedly’s home to all of your blogs, news sites, podcasts, and YouTube channels, and also lets you easily migrate from Google Reader. Productive: You get multiple layout options, auto-marking items as read, tagging, sharing, and keyboard shortcuts. Blazing fast: Feedly claims to transform websites into “pocket-size cards” which load quickly and are easy to read. Smarter sharing: I know we already spoke of sharing under Productive, but Feedly’s tour makes a point of it. You get Twitter, Facebook, Google+, Pinterest, Evernote, and LinkedIn, along with Buffer, Pocket, and Instapaper support. Desktop, phone, and tablet: Feedly has apps; but we won’t be looking at those. I won’t be running through each and every one of these points in detail, because frankly, that would be boring. I’ll tell you what I care about: Productivity and speed, and sharing. So, let’s look at those in further detail. In other words, a super-fast way to navigate feeds with specific names, without having to futz about with the sidebar menu. When it comes to consuming news, productivity is about navigating your feeds (which we’ve just looked at), as well as about how quickly you consume the content that’s in those feeds. Most of us just want to get in there, tear at those headlines like rabid news consumers, and get back out again until our next bout of procrastination (or “research”). That means the information has to be laid out in a way that can be easily scanned and processed. Easier said than done: Some feeds consist mainly of images (Flickr), while some are text-heavy, and some have mainly videos (YouTube). If that’s not enough, different people just read differently. So you get a featured image next to each piece, along with a title and an excerpt. Very easy to scan and see if you want to dig deeper. To me, this is a good view for image-heavy sources, like the Flickr blog you see above. When you click an item, it opens in an overlay. Other neat layout features include the option to hide categories with no update, and the fact categories retain their open/close states across sessions. Last but not least, Feedly can curate and feature articles based on how popular they are on Google+ and Facebook, if you’re into that sort of crowd-based filtering. Feedly is not without its quirks, however: For Flickr, it showed me many duplicate versions of the same article using different languages — something other RSS readers (such as NewsBlur Newsblur: A Friendly & Feature Rich Online Feed Reader Software Newsblur: A Friendly & Feature Rich Online Feed Reader Software Read More ) are clever enough not to do. The final word on productivity and speed: Feedly is responsive, and offers many different ways to view and navigate your content. Google Plus, Twitter, LinkedIn, and Facebook. Then there’s Buffer Schedule & Post Updates For Twitter, Facebook, & LinkedIn With BufferApp [Chrome] Schedule & Post Updates For Twitter, Facebook, & LinkedIn With BufferApp [Chrome] Buffer is a web service for scheduling tweets, LinkedIn profile and group posts, as well as Facebook updates for both profiles and pages. Buffer is great if you want to plan ahead and schedule your... Read More , plain old email (although there’s an issue with this at the time of this writing) and finally, options to save the article for later, and tag it. The Google Plus button is tightly integrated with Feedly, opening a G+ sharing dialog right on the page itself. Buffer is similarly polished, popping up a beautiful overlay. The other sharing features appear as clunky browser pop-up windows — not as pleasant, but they work. From left to right, you get to save the item to Evernote, Instapaper, Pocket, and Delicious. There’s Pinterest support, too: Just hover over an image to pin it on Pinterest. I wish they offered saving to some of the nicer bookmarking alternatives The 3 Best Bookmarking Alternatives To Delicious The 3 Best Bookmarking Alternatives To Delicious Read More like Pinboard as well, but alas, you will have to make do with this IFTTT workflow if you want to save content to your Pinboard. Feedly is a mature, fleshed-out product, with a thoroughly modern UI and robust sharing features. 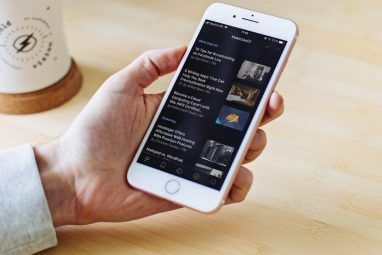 It’s no wonder it is one of the leading Google Reader alternatives, but really, you should look at it as its own thing – a powerful online news reader. If you haven’t settled in on a news reader you really like yet, you should check it out. Flowreader from http:www.flowreader.com is a great replacement, brings both web news and social accounts feeds, allows sharing and posting in one's Twitter, Google+ directly from its page. "..You should check it out.." - Definitely! I have always used Feedly and I love almost everything about it. I like the choice of layouts, of which there are 4-6 (I forget). And it is very prompt in bringing you up to speed with the latest articles. You can customize that part too with various options. I understand how many folk became upset at Googles decision but give Feedly a try, stick with it, get used to it and its functions and maybe you'll come to love it as much as I do. It is a good reader. I'm just wondering why there are not many rival feed readers out? It mainly has to do with monetization: It is not easy to run a whole company around a feed reader, it being a relatively niche product. One model that works is the "superstar developer" - one guy who does it all, like NewsBlur (a rival service profitably run by a single person). My feedly currently running on my galaxy s3 doesn't fetch any articles when in mobile data connection. Is there anyone with this problem ?? There are also reported problems with the email handling in the chrome pc interface regarding mailto links handling. What does your user experience tells you about?? I must say I didn't encounter either of these issues... Did you talk to Feedly tech support? Am surprised... that none of the reviews or even the people that use Feedly are concerned about the permissions it requires to get started!! Trusting a completely unknown company with my browsing data and personal information - is a show stopper to begin with !! 2) Feedly still requires Google OAuth for login. More OAuth options are reportedly on their way later this summer, but like many others I prefer not having to link an unrelated account to my Feedly account. This is also a potential privacy/security issue. One thing, though, and I'm wondering if anyone else has experienced this -- Preview doesn't quite work with MUO, the window just comes up empty. No big deal, I just open the article in a new tab, just that a preview would be so much more convenient. Interesting issue... I must say I didn't have the same problem. Did you contact their support? re: Ned's comment about not receiving all articles in a feed, I felt the same way and tweeted my concern. Feedly tweeted back and asked me to contact them via email. They told me that "This is a feed by feed problem and we are getting at it everyday. If you catch one specific feed that has an issue feel free to shoot me an email so I can look at it and fix it :)" Feedly is very responsive! Something I'd really like to see is an overall keyword search of articles, which was possible in Google Reader. Having this kind of search would make Feedly perfect! I have been experimenting with feedly as well as inoreader. While I have been generally satisfied with feedly, two items bother me. Second, and less serious, feedly with its grayed-out sidebar is sometimes hard to read. I'd prefer an option to keep the feeds with no unread items normal with feeds with unread items some other color - as inoreader does. It is much easier for old people like me to see.